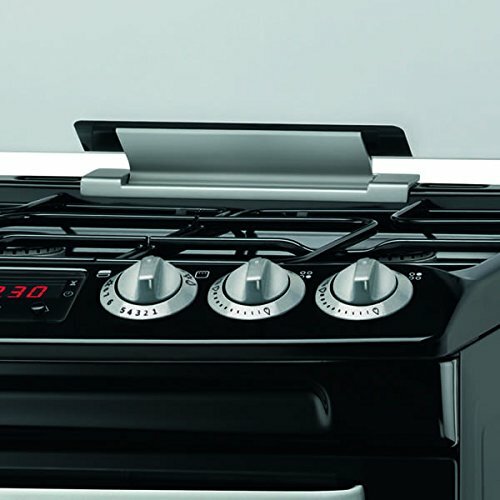 The ZCG552GNC double gas oven from Zanussi has plenty of space for cooking in thanks to the 71 litre main oven. 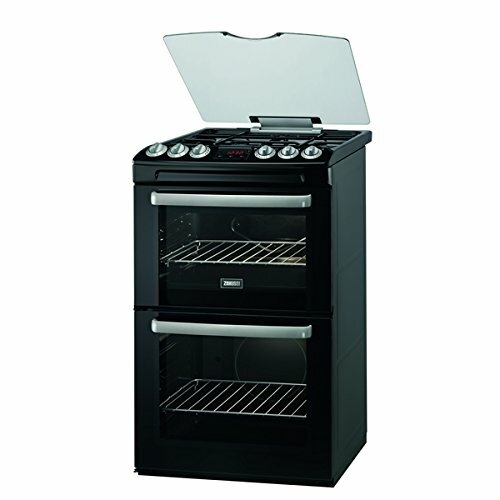 The top oven also has plenty of room at 34 litres and a gas grill is included in the top oven. Both the top oven and the main oven have clear glass so you can check your food without having to open the oven door. The oven has well laid out controls with clearly labelled oven temperatures and there is even an oven timer with clock built in. The hob has 4 burners with a simmer burner, a rapid burner, and 2 semi-rapid burners. There is also a glass lid that can be closed when not in use. As you would expect this oven has easy to clean enamel surfaces and catalytic liners that absorb grease aiding the cleaning process. Its easy to see why this oven is one of Zanussi's most popular models.